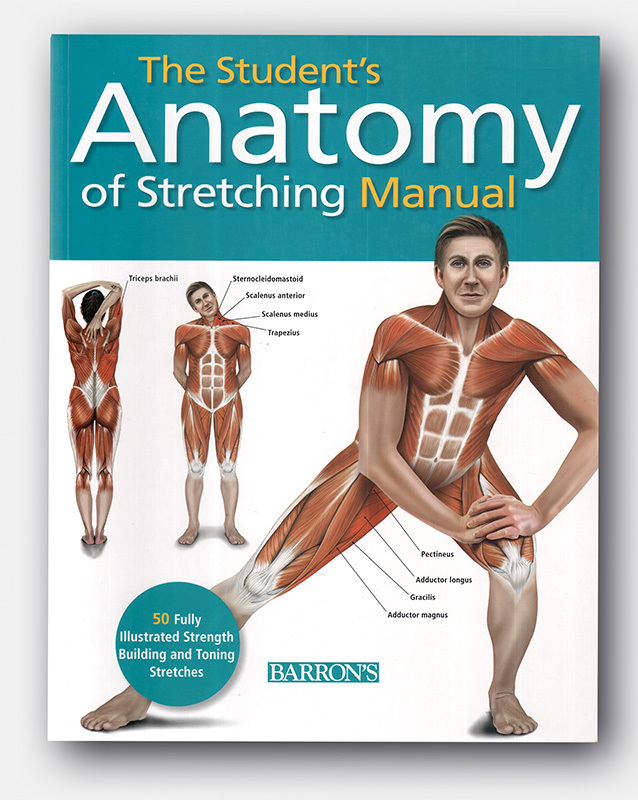 To be asked to work on the The Student’s Anatomy of Stretching Manual was a real thrill for the team due to the fact that this was a long-standing and popular series of anatomy titles. 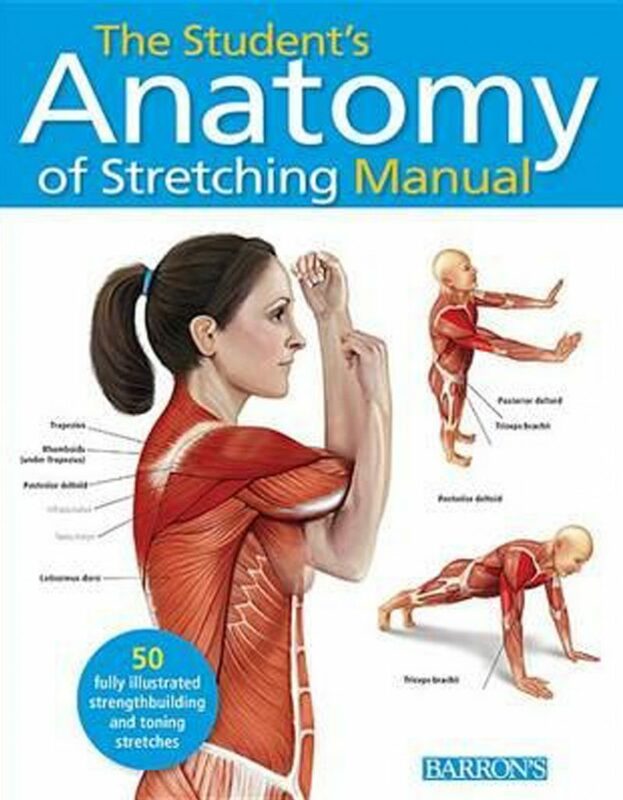 The book is an introduction to the principles of stretching including safety tips and the proper techniques involved with the aim to have highly detailed anatomical illustrations demonstrating 50 common stretches to show what exactly happens in the body during each stretch. 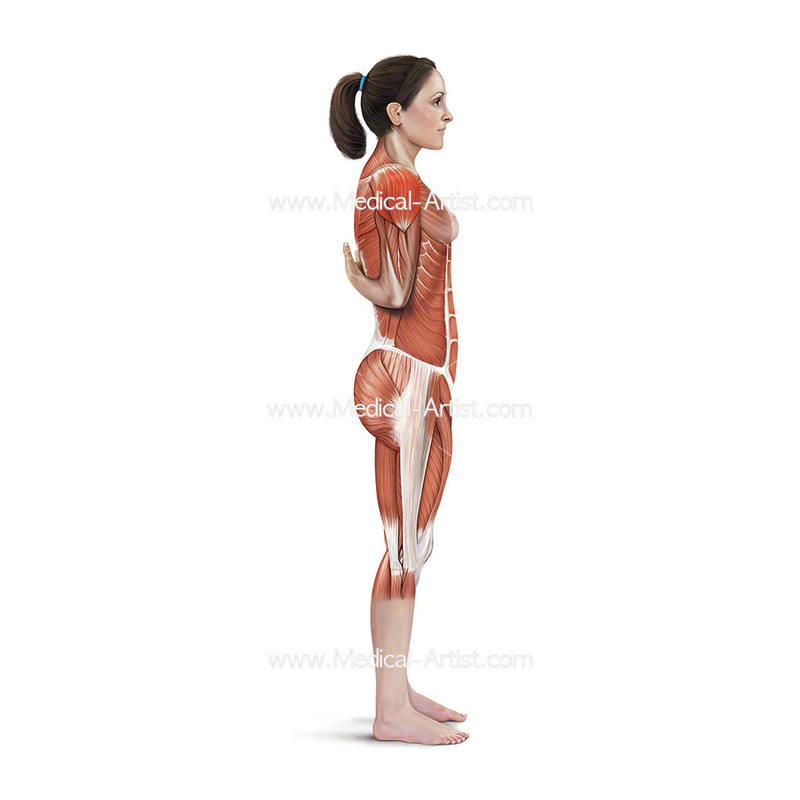 It is aimed at health and fitness trainers, students of sports science, athletes, coaches and the elderly and anyone who wants to understand the anatomy involved with improving fitness and flexibility. 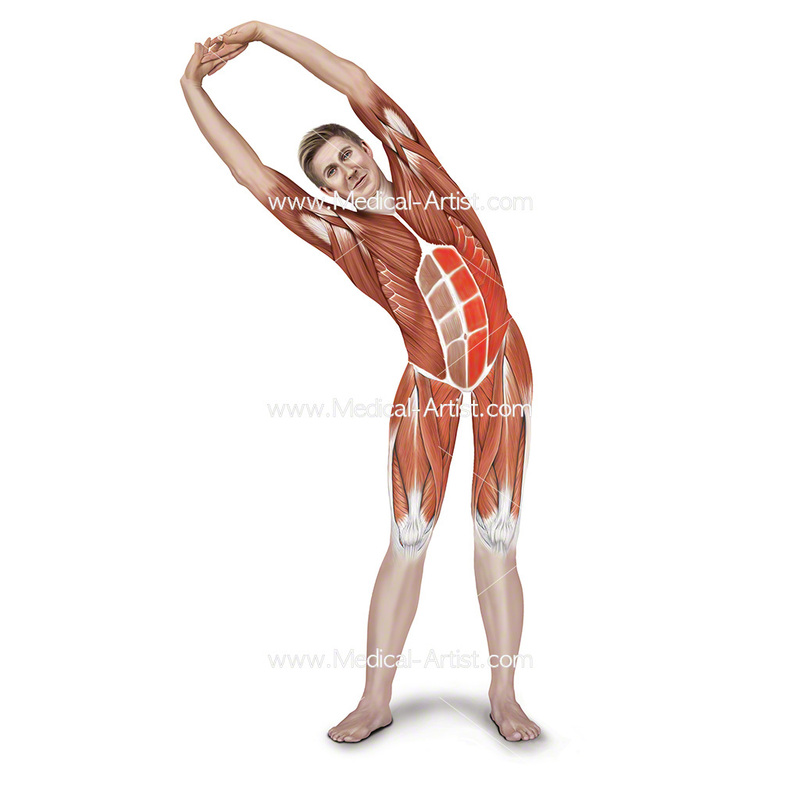 Commissioned by Quarto Publishing the brief was to create a set of 50 illustrations on the subject of individual stretching techniques. 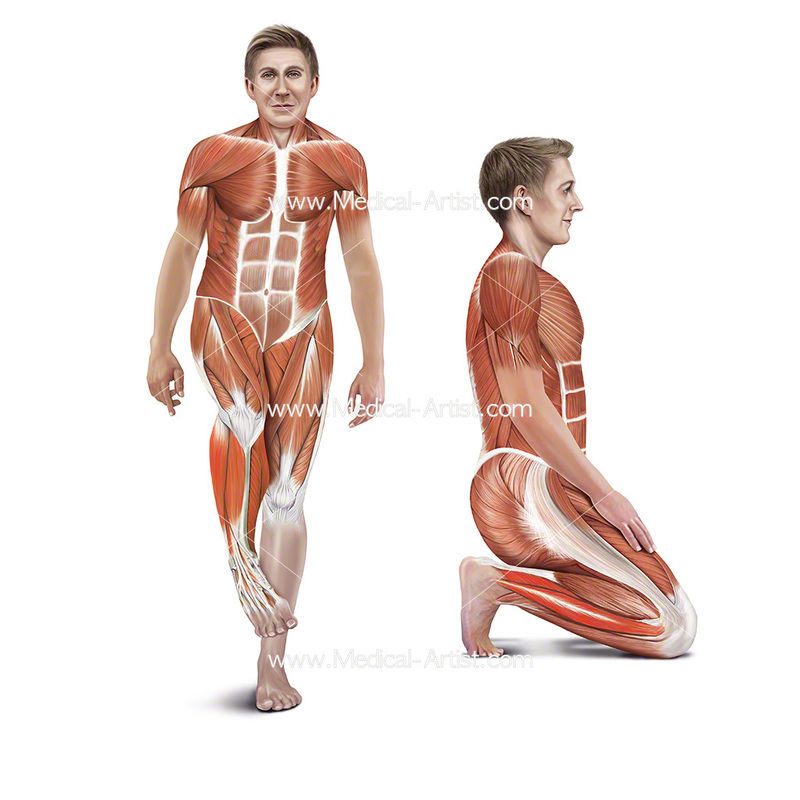 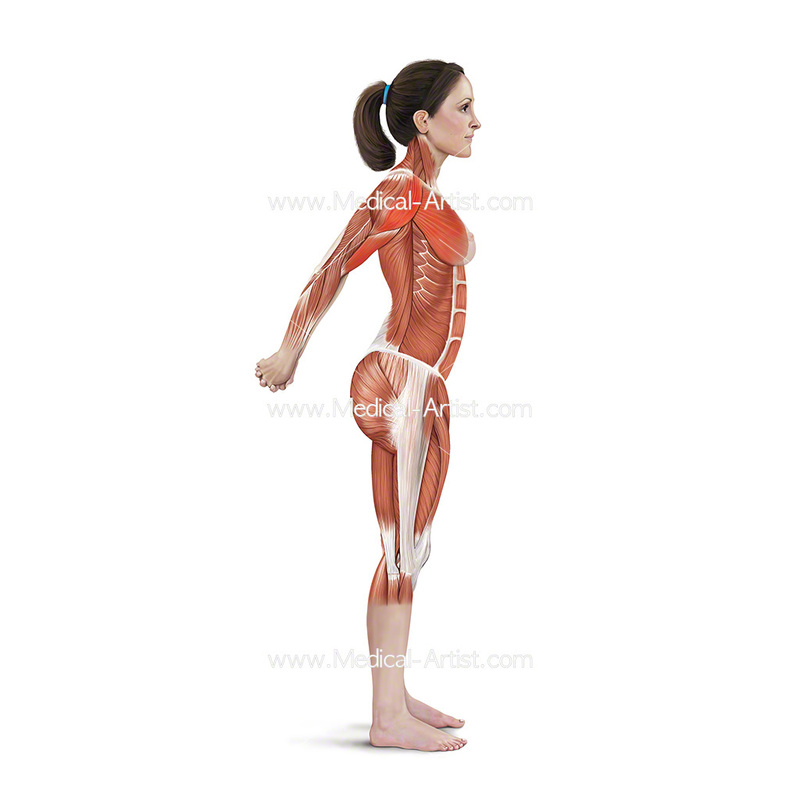 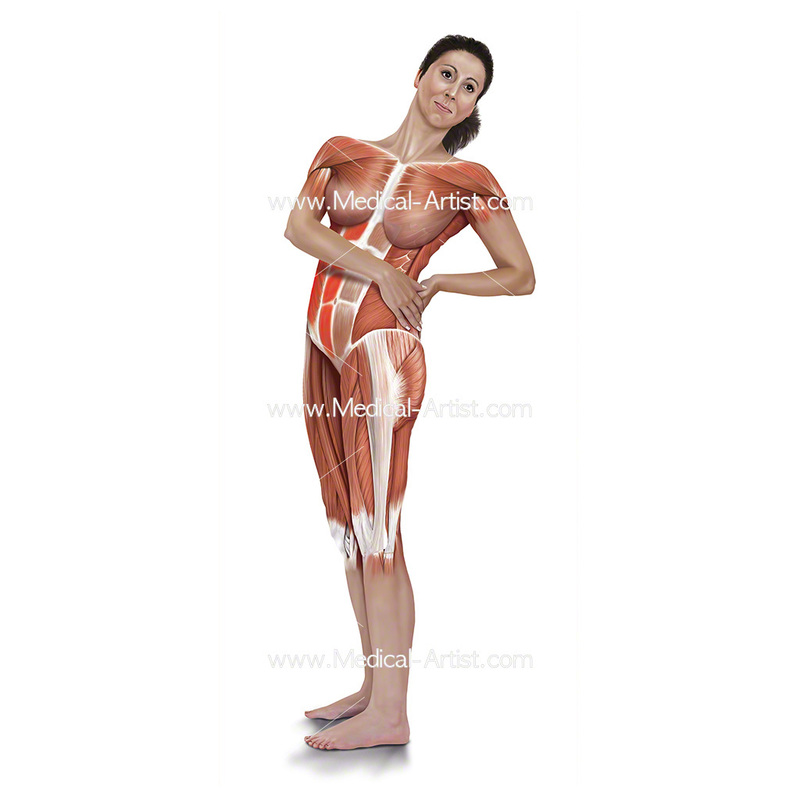 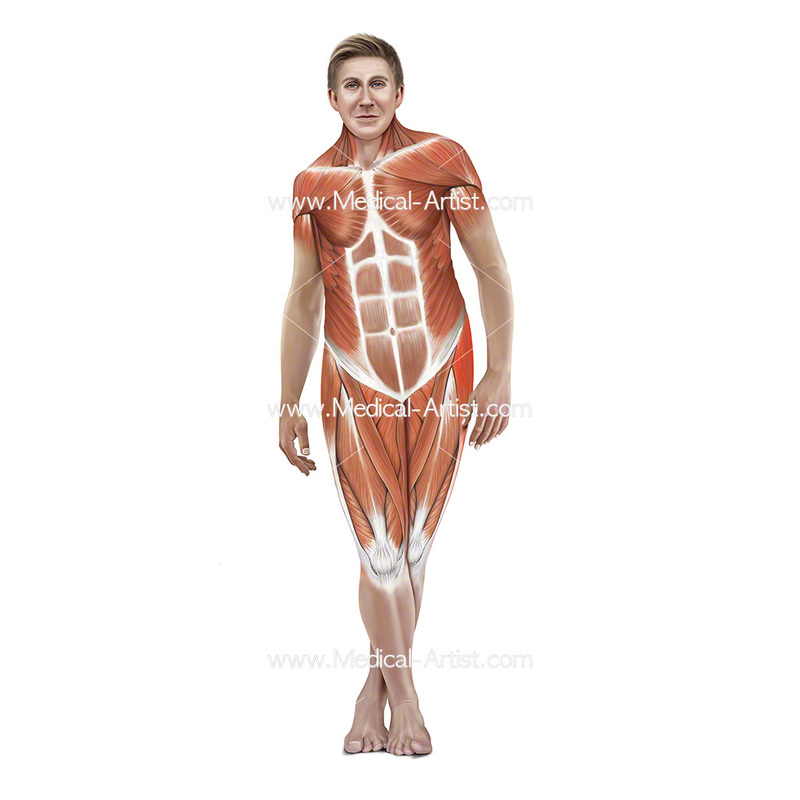 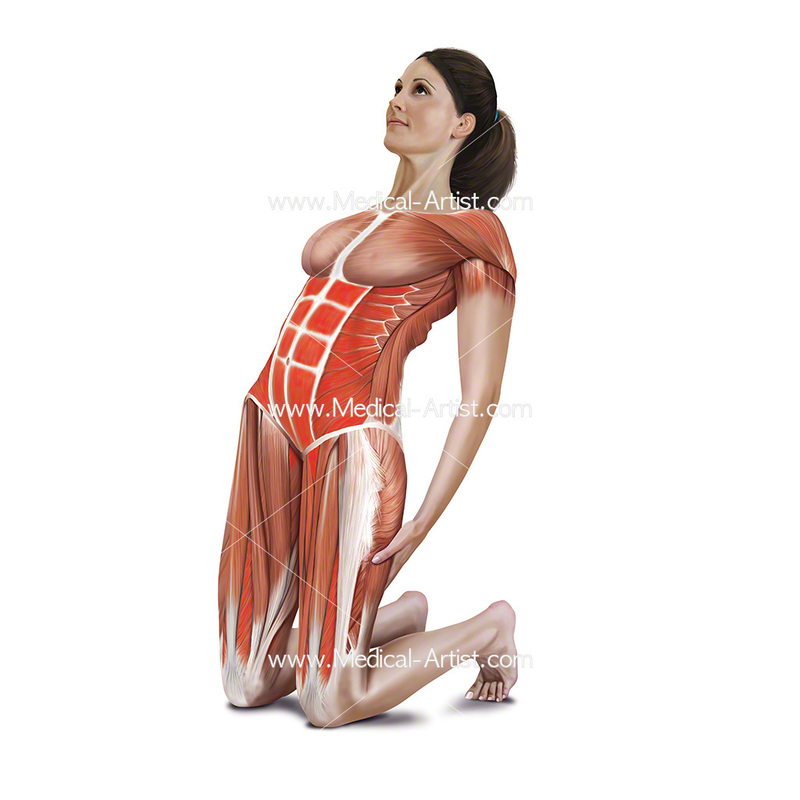 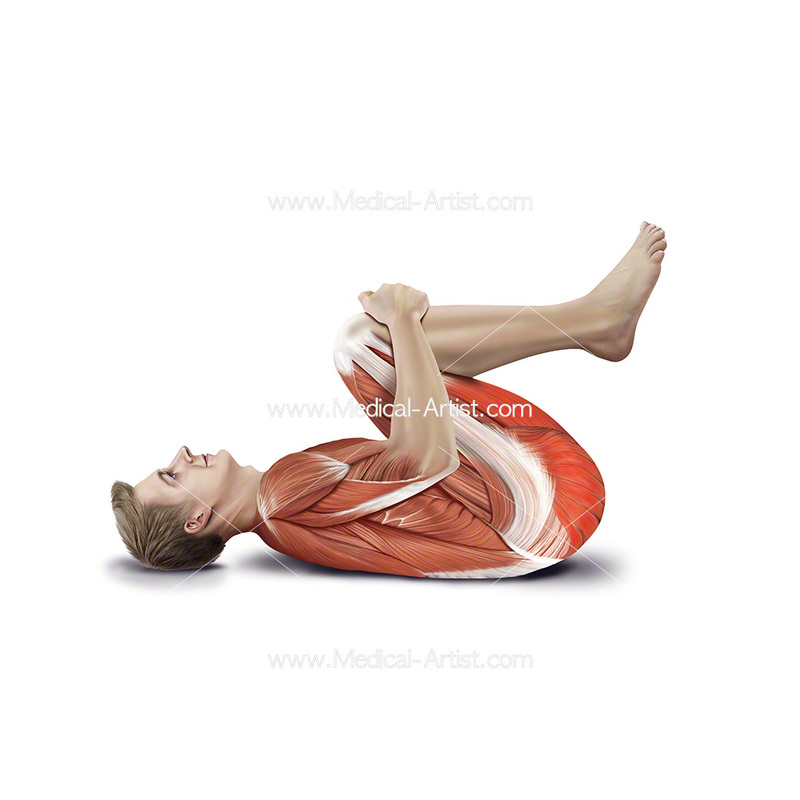 Working closely with the publisher’s editor the illustrations were to follow very specific guidelines for the correct positioning of each stretch, to show how a person would carry out each one and to add the correct superficial muscle anatomy. 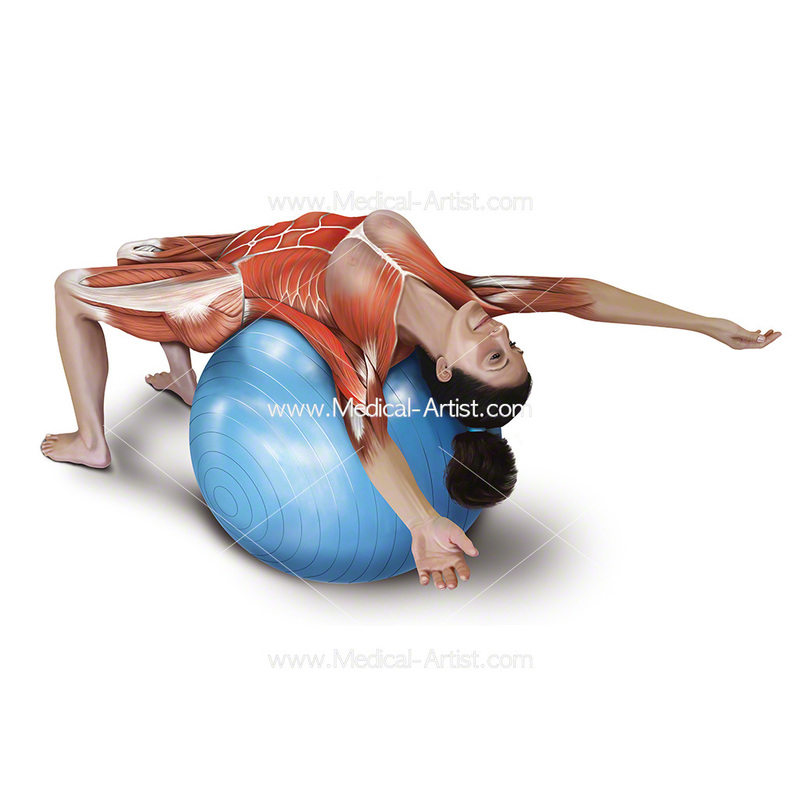 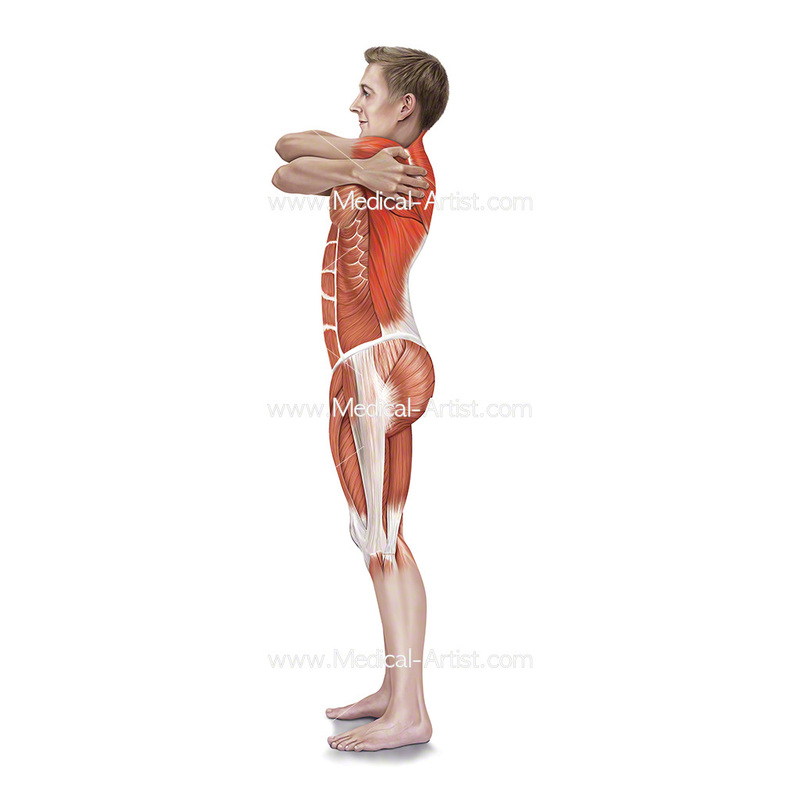 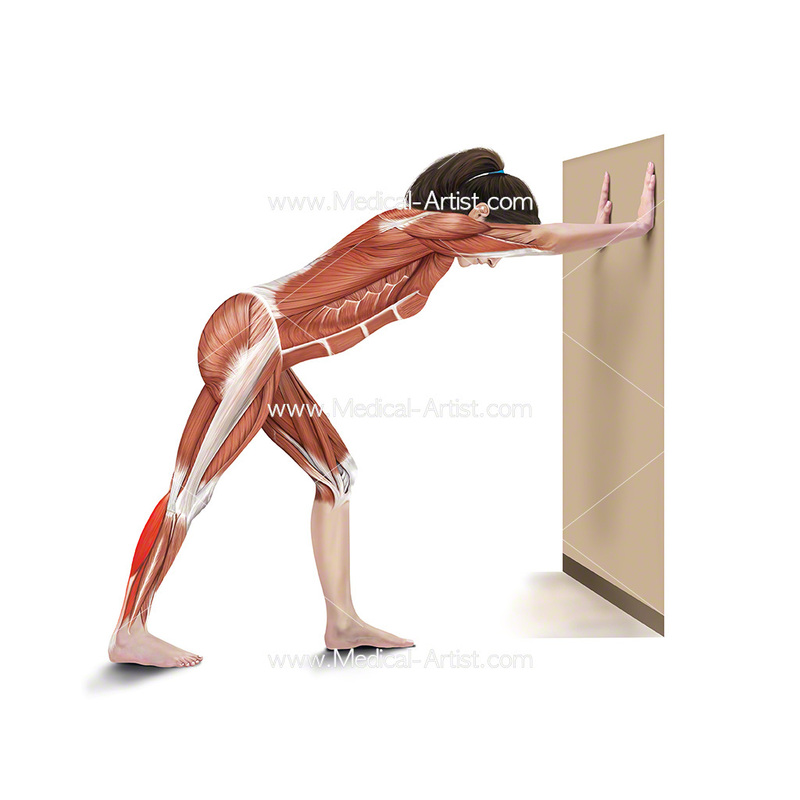 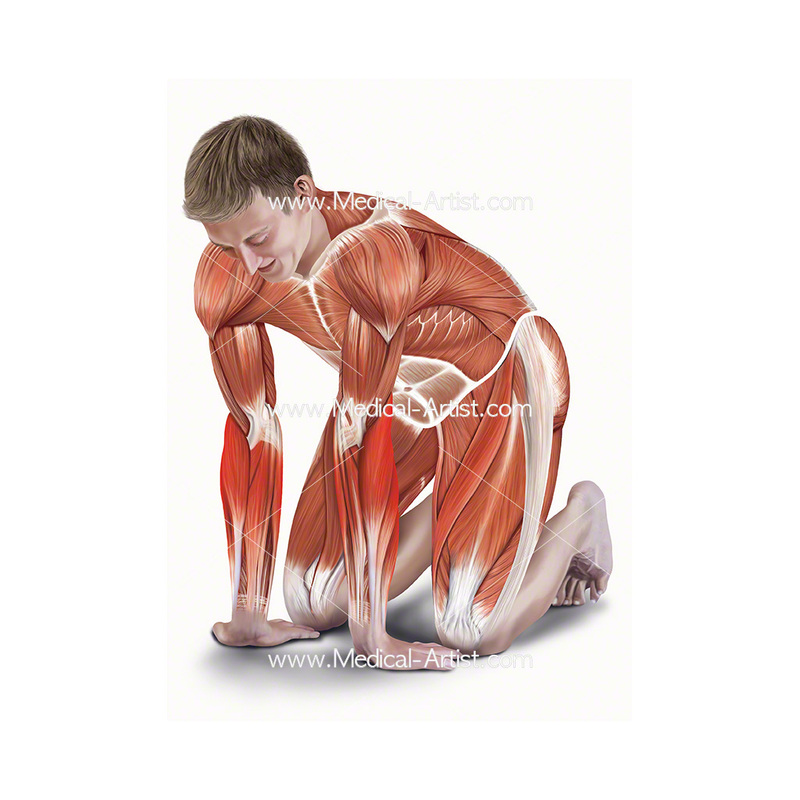 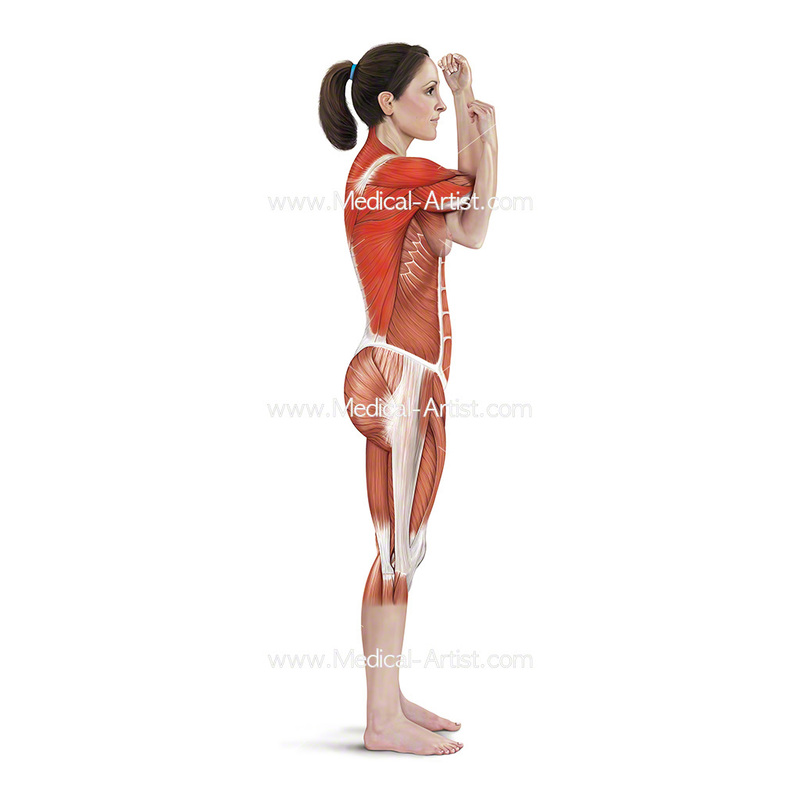 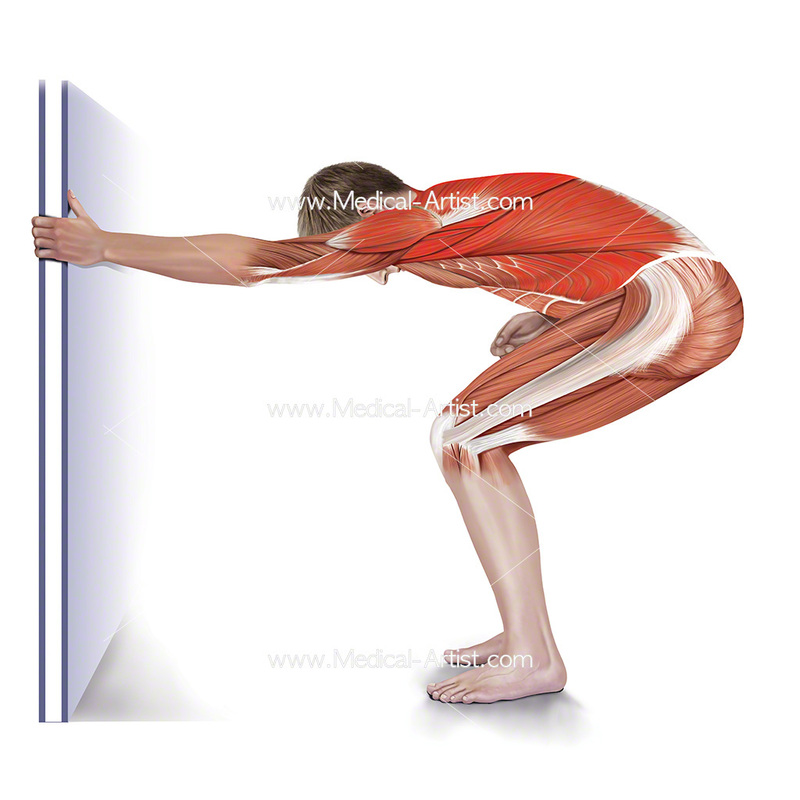 The purpose of the muscle anatomy was to show the muscle involved in each movement in accordance with each stretching position. 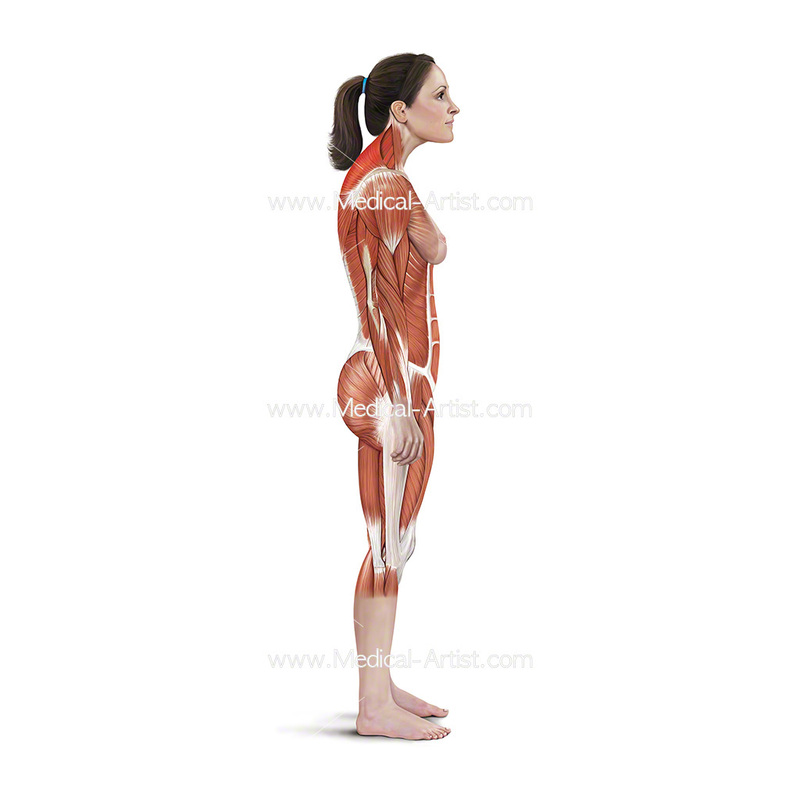 They were not to be anatomically accurate and lifelike but also meet the strict schedule publishing deadline. 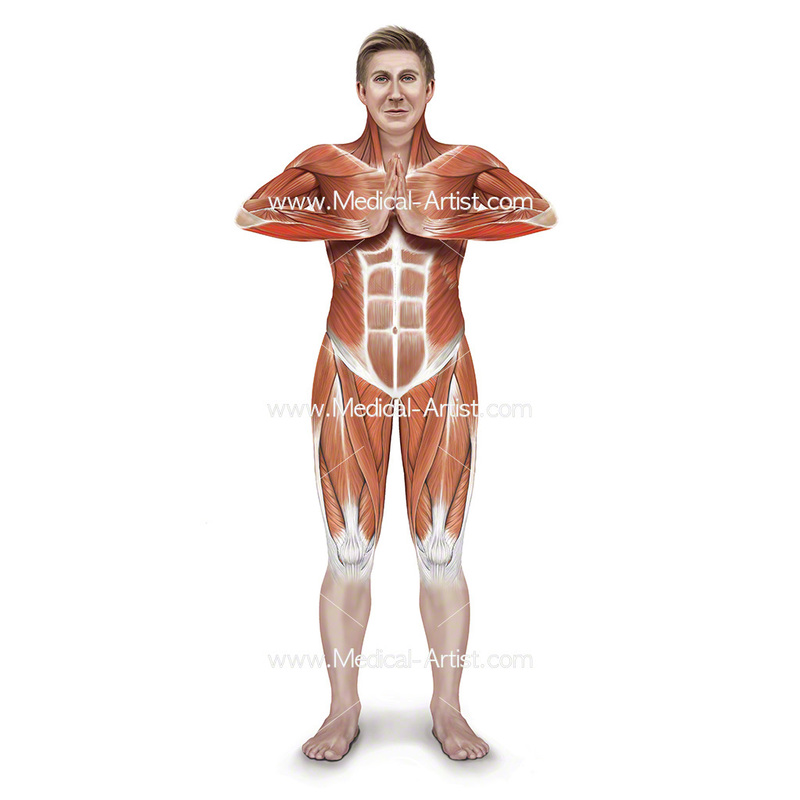 The brief was sent through as a written description with some images and from there we were required to carry out research and organise a set of 50 illustrations that would match in style, where the male and female would aesthetically work in coordination and create 50 pencil sketches of each proposed illustration for review. 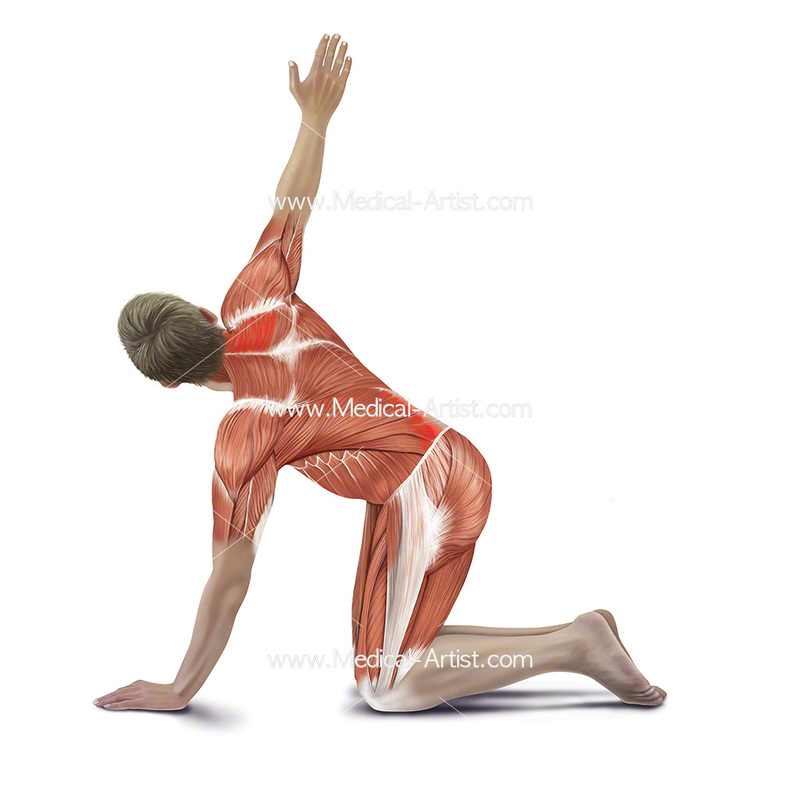 To create the illustrations the first part of the process was to find two willing male and female participants that would pose for all of the stretches. 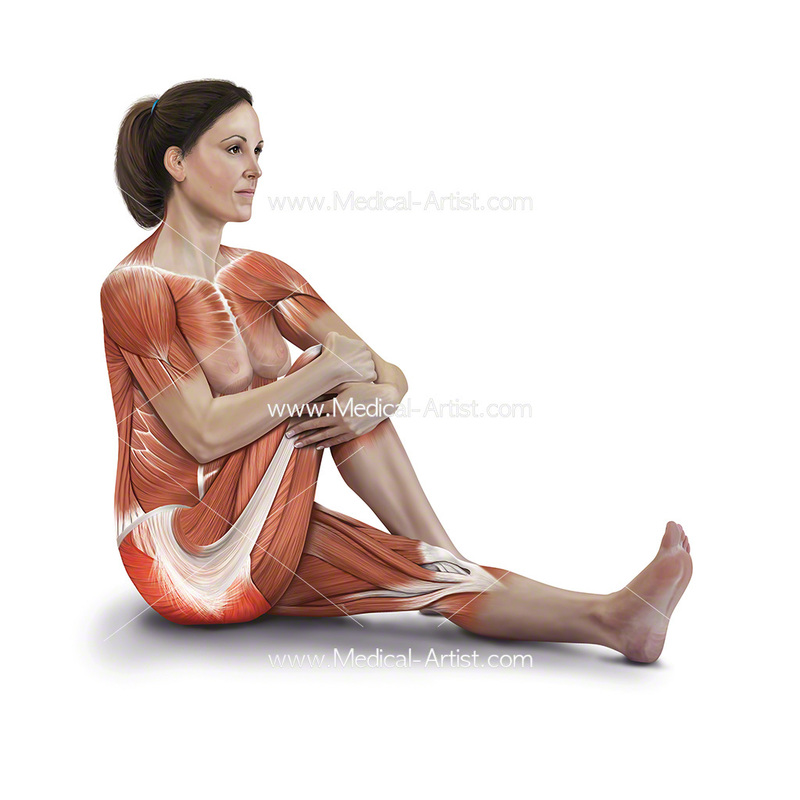 We advertised for participants and we located a couple who would pose for us, whilst we built up the sketches and reference. 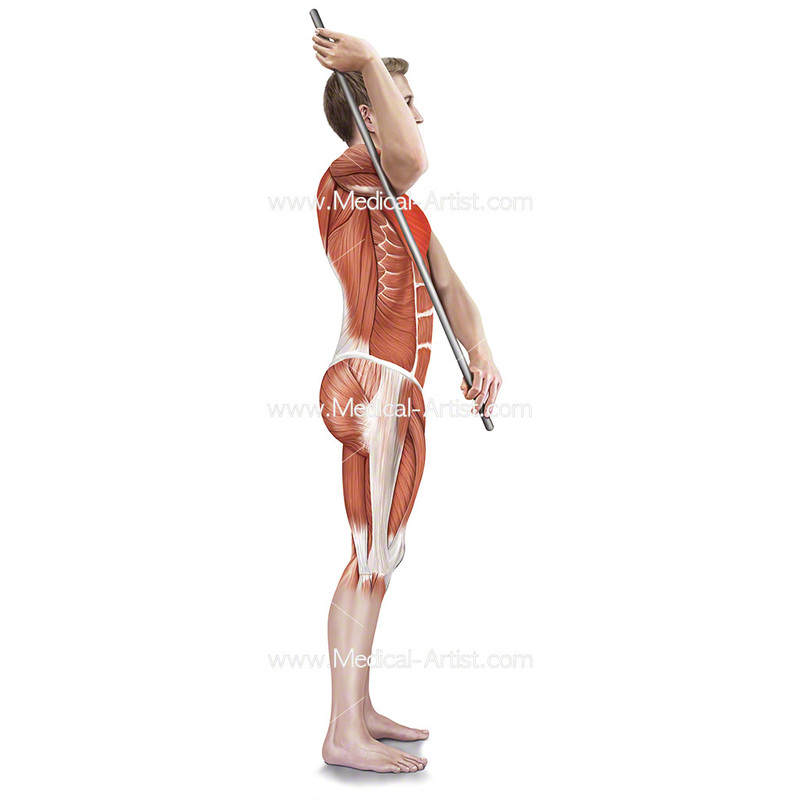 We needed models because each of the moves were complicated, so it was vital to get each movement posed absolutely correctly so that we would accurately draw the muscle anatomy. 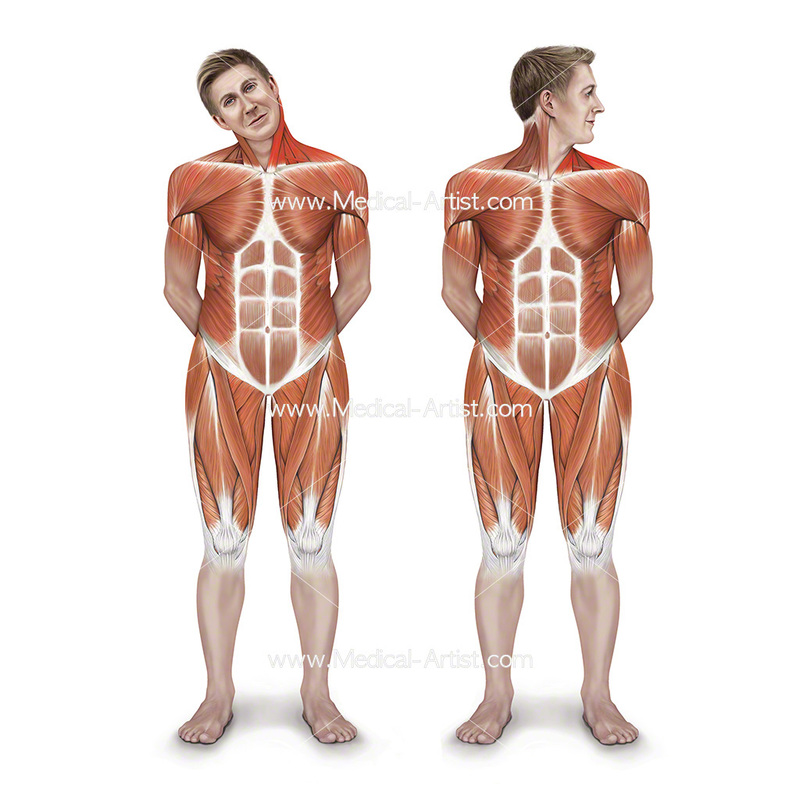 The author of the book, Ken Ashwell, Ph.D. a Professor of Anatomy in the Department of Anatomy, School of Medical Sciences at the University of New South Wales, Sydney, Australia was in charge of checking each of the pencil drawings for anatomical correctness. 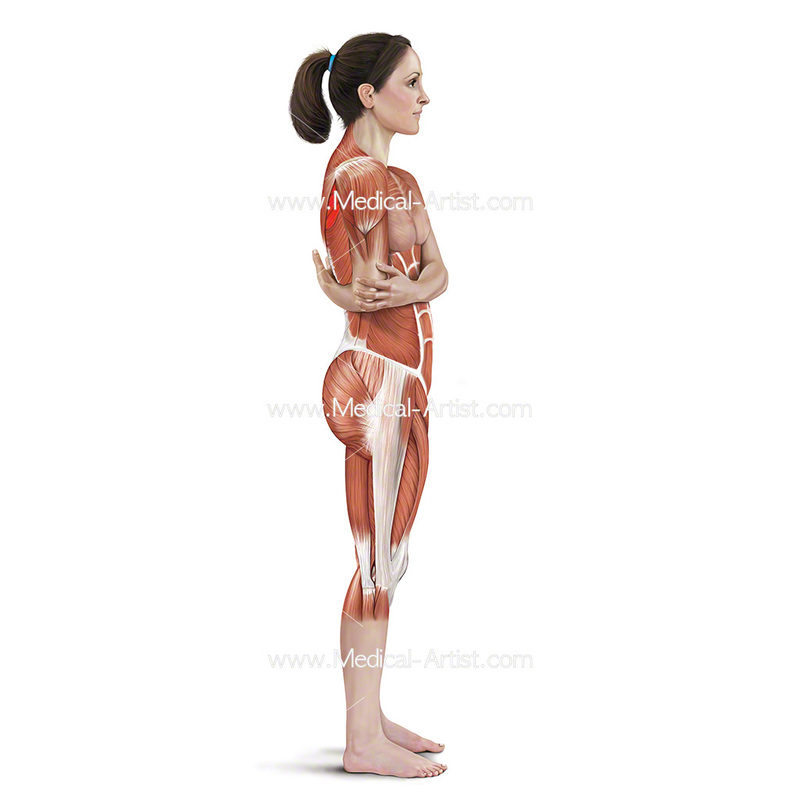 Once approved the pencil drawings were used as the base to create the full 50 colour illustrations and Jo was determined all the anatomy should be a detailed as possible. 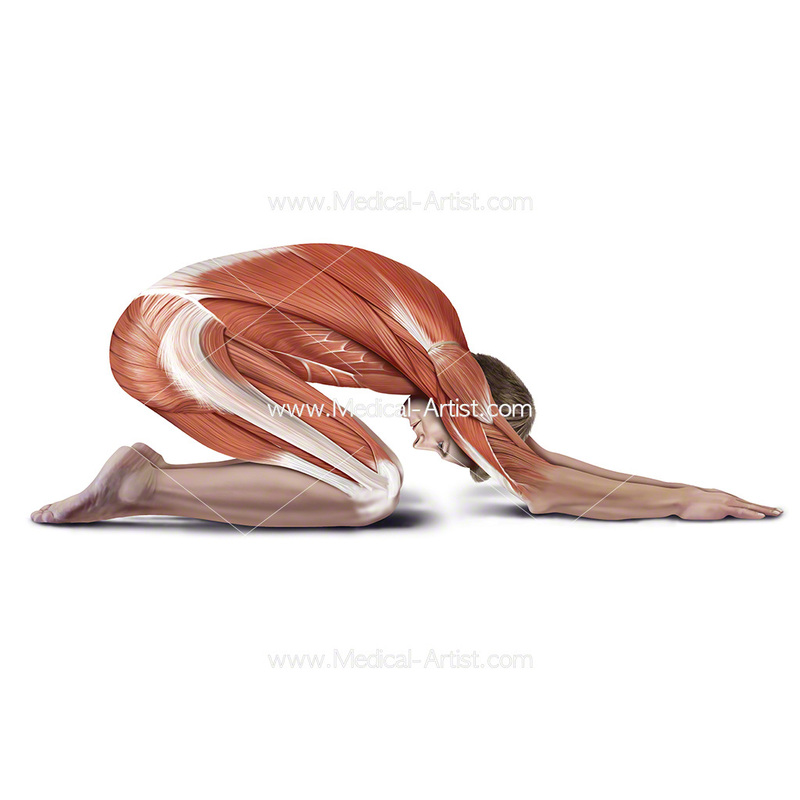 From the direction of the muscle fibres to following the twists and turns of the body, so each pose was anatomically precise and accurate.